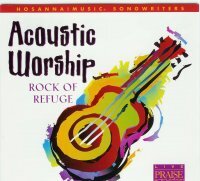 Acoustic Praise Intimate Worship von Hosanna! Music. 12 Titel featuring Paul Baloche, Lincoln Brewster, Lynn DeShazo, Darell Evans, Don Harris u.v.a.